The Supreme Court bench of Justice A. K. Sikri and Justice Ashok Bhushan has recently held that where an entity granting a loan is not a ‘banking company’ or a ‘financial institution’ under clauses (d) and (m), respectively, of Section 2(1) of the SARFAESI Act of 2002, but subsequently merges with a ‘financial institution’, the successor-in-interest shall be deemed to be a ‘secured creditor’ for the purpose of Section 2(1)(zd) of the Act and shall be entitled to effect recovery in accordance with Section 13 of the Act. The apex court was hearing an appeal against a 2014 judgment of the Andhra Pradesh High Court wherein the high court had observed that the loan was initially given by M/s Indiabulls Financial Services Limited (‘IBFSL’) in the sum of Rs.50 crores each in December, 2011 and January, 2012. IBFSL was not a banking company or financial institution within the meaning of the SARFAESI Act and, therefore, it had no jurisdiction to take any steps by invoking the provisions of this Act. Subsequently, IBFSL got merged with the present appellant which is a ‘financial institution’. The scheme of arrangement between IBFSL and the present appellant was sanctioned under sections 391-394 of the Companies Act, 1956 in December, 2012, IBFSL being dissolved without winding up on its amalgamation with the appellant. The loan accounts of the present respondents were classified as ‘Non Performing Assets’ (NPA) under Section 2(1)(o) of the SARFAESI Act in March, 2013. The high court ruled that since IBFSL had no right to initiate any action under the said Act, as a successor-in-interest, the appellant steps into the shoes of IBFSL and, therefore, it also cannot initiate any action under the SARFAESI Act. If that is allowed, held the high court, substantive rights of the contesting respondents which accrued to them under sections 69 and 69A of the Transfer of Property Act, 1882 would be adversely affected, which cannot be countenanced. 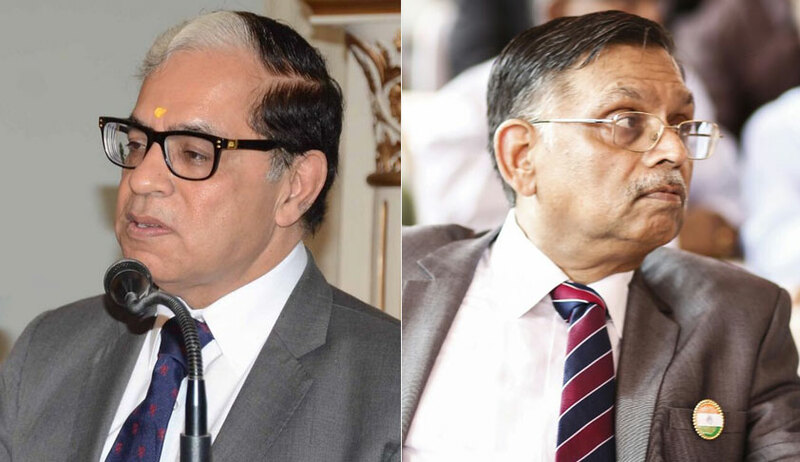 In setting aside the impugned judgment, the bench of Justice Sikri and Justice Bhushan laid reliance on the 2017 judgment of the Supreme Court in MD Frozen Foods v. Hero Fincorp. In MD Frozen Foods, the appellants had borrowed monies for their business from the respondents against security of immovable properties by creating an equitable mortgage. Loan agreement contained an arbitration clause. Since the appellant defaulted in making the payment and the account became NPA, the respondent invoked the arbitration clause in November, 2016. However, three months before this invocation, a notification was issued in August, 2016 specifying certain Non-Financial Banking Companies (NFBCs) covered under clause (f) of Section 45-I of the RBI Act, with assets of more than Rs. 500 crores and above, as financial institutions and directing that the provisions of SARFAESI Act shall apply to such financial institutions with the exceptions of provisions of sections 13 to 19 of that Act. Sections 13 to 19 were made applicable, as per the notification, only to such security interest which is obtained for securing repayment of secured debt with principal amount of Rs.1 crore and above. The respondent was specifically covered by the said notification which was issued in exercise of powers conferred under sub-clause (iv) of clause (m) of sub-section (1) of Section 2 read with Section 31A of the SARFAESI Act. In view of the aforesaid notification, the respondent issued a notice under Section 13(2) of the SARFAESI Act in November, 2016 for one of the seven properties mortgaged to it against the aforesaid loan which was advanced to the appellants. In the said case, the apex court had ruled that resort can be had to Section 13 of the SARFAESI Act in respect of debts which have arisen out of a loan agreement/mortgage created prior to the application of the SARFAESI Act to the respondent and that the lender can invoke the SARFAESI Act provision where its notification as financial institution under Section 2(1) (m) has been issued after the account became an NPA under Section 2(1)(o) of the said Act. Referring to the Supreme Court judgment in Saraswati Industrial Syndicate v. Comm’r Of Income Tax (1990), the aforesaid bench observed that on sanction of the scheme of amalgamation, all loans, recoveries, security, interest, financial documents, etc in favour of IBFSL got transferred to and stood vested in the appellant including the loans given by IBFSL to respondent borrowers, debts recoverable by IBFSL from respondent borrowers in favour of IBFSL, security documents executed by respondent borrowers in favour of IBFSL, etc. Further, it was noted, “There is a force in the contention by the appellant that the debt with underlying securities is the asset of IBFSL and that IBFSL had right to transfer/assign its assets to any person without seeking the consent of the borrower. Such transfer/assignment is recognized and that this Court in the case of ICICI Bank v. Official Liquidator of APS Star Industries (2010) has recognised and upheld such an assignment”. Finally, the bench concluded that the present respondent No.1 would be treated as ‘borrower’ within the meaning of Section 2(1)(f) of the SARFAESI Act; the arrangement would be classified as ‘security arrangement’ under Section 2(1) (zb); the agreements created ‘security interest’ under Section 2(1) (zf); and the present appellant became ‘secured creditor’ within the meaning of Section 2(1)(zd) of SARFAESI Act. A subsidiary concern in the impugned judgment was that, in view of the arbitration clauses in the loan agreements, the present appellant had invoked the same with the filing of cases under Section 9 of the Arbitration and Conciliation Act, 1996, and the Andhra Pradesh High Court had held that, consequently, the initiation of any other proceedings under the SARFAESI Act is impermissible in law. Rejecting this observation, the Supreme Court ruled that it is not correct to say that the proceedings under the SARFAESI Act cannot be placed on high pedestal. “We find that the SARFAESI Act is a special enactment which was enacted by the Parliament to provide a speedy remedy to the banks and financial institutions without recourse to the court of law. On the other hand, the Arbitration and Conciliation Act, in contrast, is a statute of general nature. Merely because steps are taken under this general law would not mean that remedy under the special statute is foreclosed. If at all, the legal position is just the reverse,” observed the bench, relying on apex court judgment in Transcore v. UOI (2010).